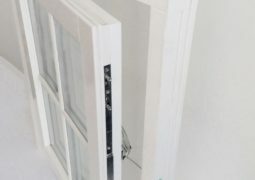 Our most basic product is the best choice for those who are looking for simple, popular, outward opening casement windows that are based on traditional techniques and are perfect for conservation projects. 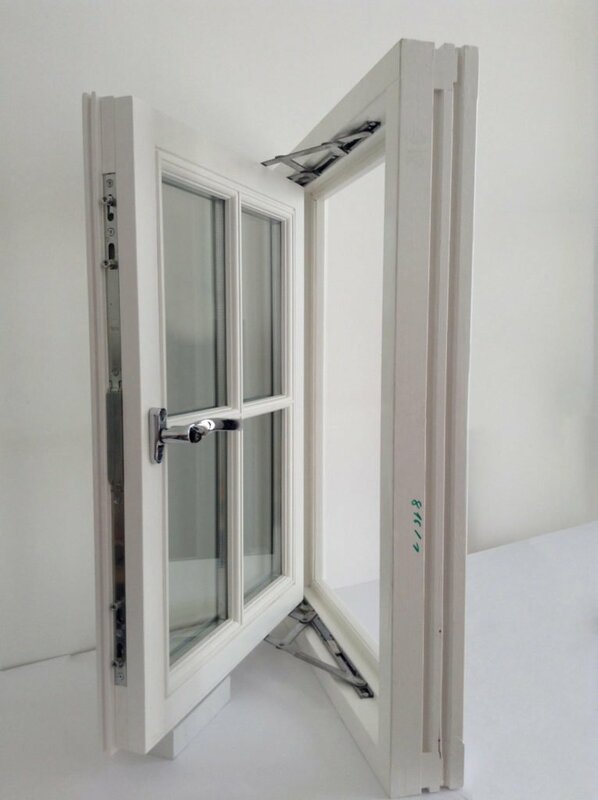 We offer a range of different styles of flush casement windows. 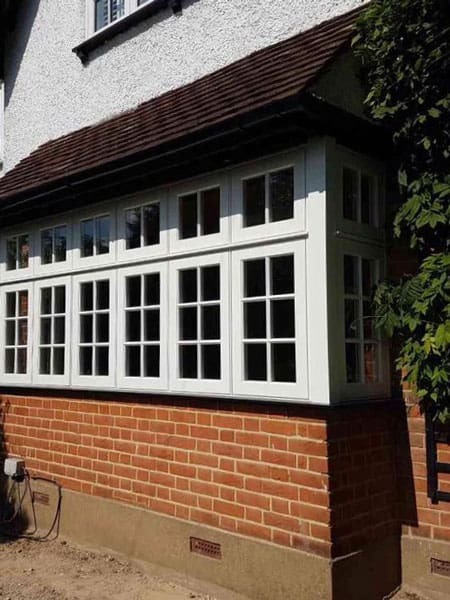 From a traditional Georgian style window with bars to more modern non-bar styles, we have a design to suit everyone. 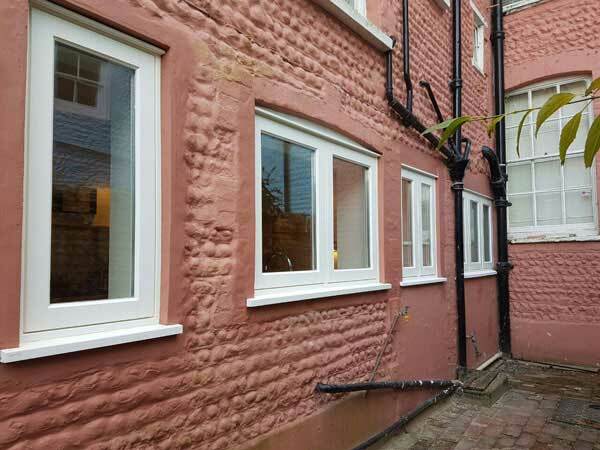 Our wooden Flush Casement Windows add a contemporary feel and modern energy efficiency to a traditional building. 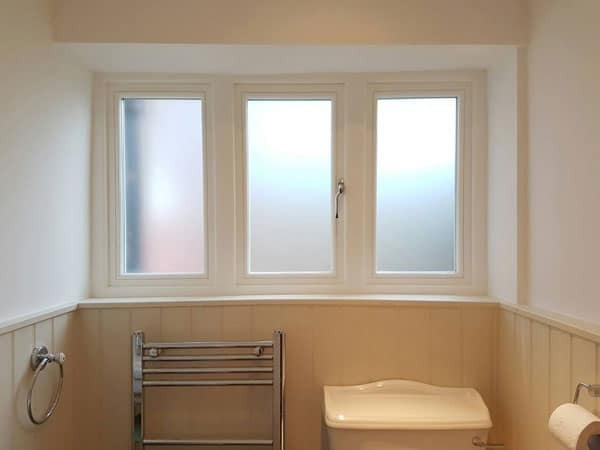 All Ranebrook Windows timber windows are bespoke and made to order, allowing us to cater to sizes and designs that are suitable just for you. 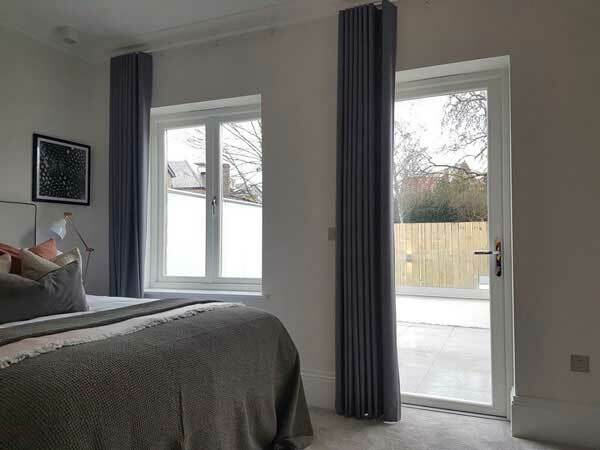 Our casement windows have been carefully designed to ensure that frames, meetings rails and glazing bars reproduce the traditional form as closely as possible. 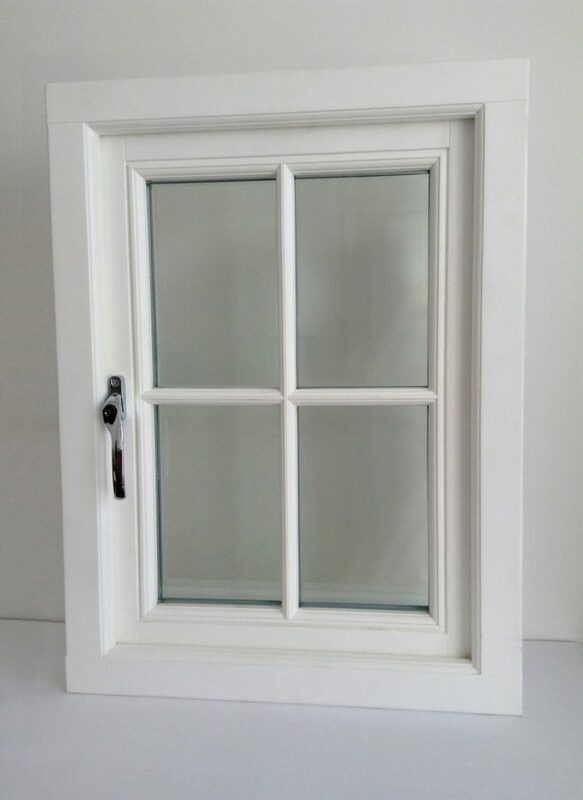 You can get the look of an authentic timber casement window with all the modern benefits. 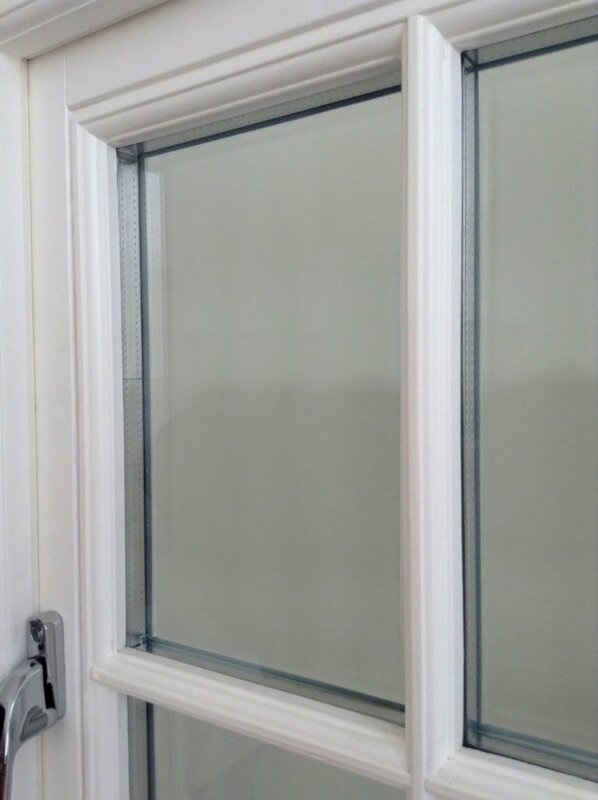 Our double-glazed windows are secure, rattle-free, and energy efficient. We operate a nationwide service and will never turn down enquiries from the whole of the UK. 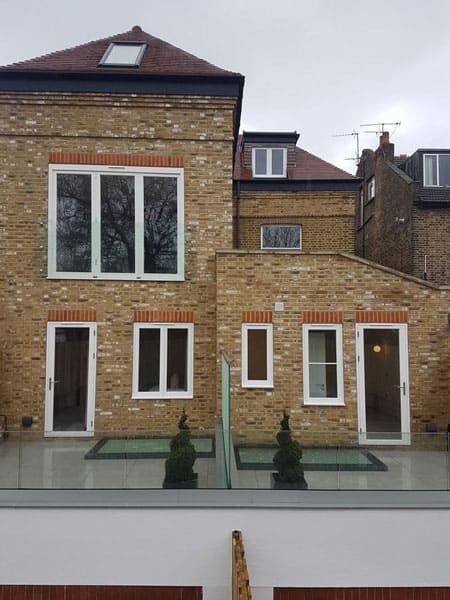 But as our office is located in South East London, we attract enquiries from surrounding areas, where we not just supply but also install our timber flush casement windows (London, Kent, Sussex, Surrey, Essex etc.). Recently we expanded our service area and started to serve Cambridge & Cambridgeshire. 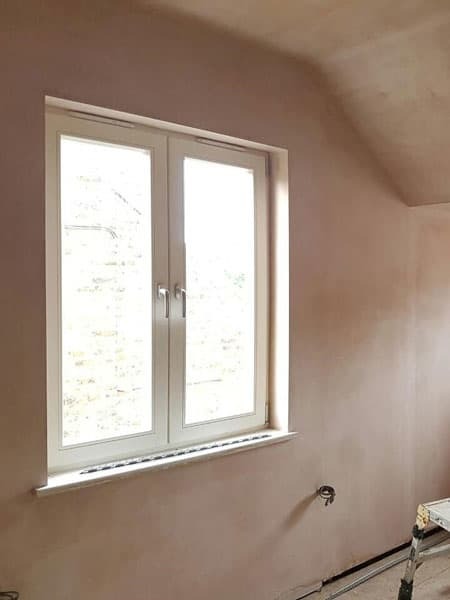 Our timber Casement windows in Cambridge becoming very popular. 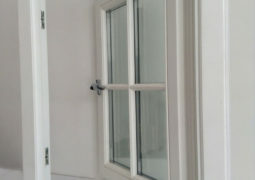 Our products can have various openings. 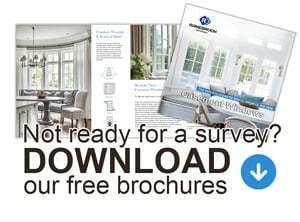 Check below to learn more about the different options. 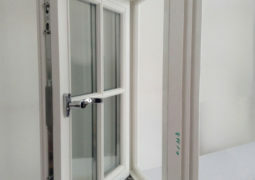 Also, we can offer inside opening Casement windows. For more information, please contact us. 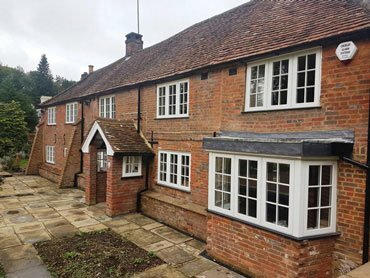 Our timber flush casement windows are manufactured from engineered wood for greater strength and stability and have passed the test of time; they are easy to renew, paint or varnish. 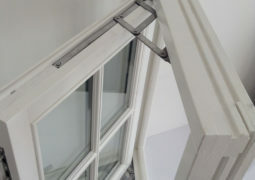 Also, as a standard, we offer these Traditional Window Furniture: Monkey Tail and Bulb End fasteners and stays. 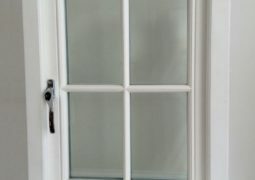 Depending on the ironmongery you require, we use different types of hinges. As a standard option, we offer Egress Easy-Clean Friction Stays. 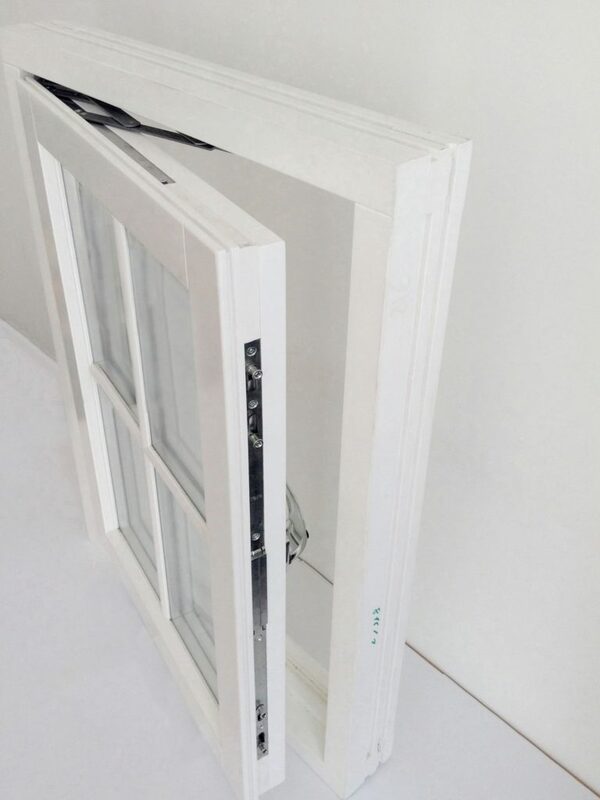 They are suitable for both top hung & side hung windows. 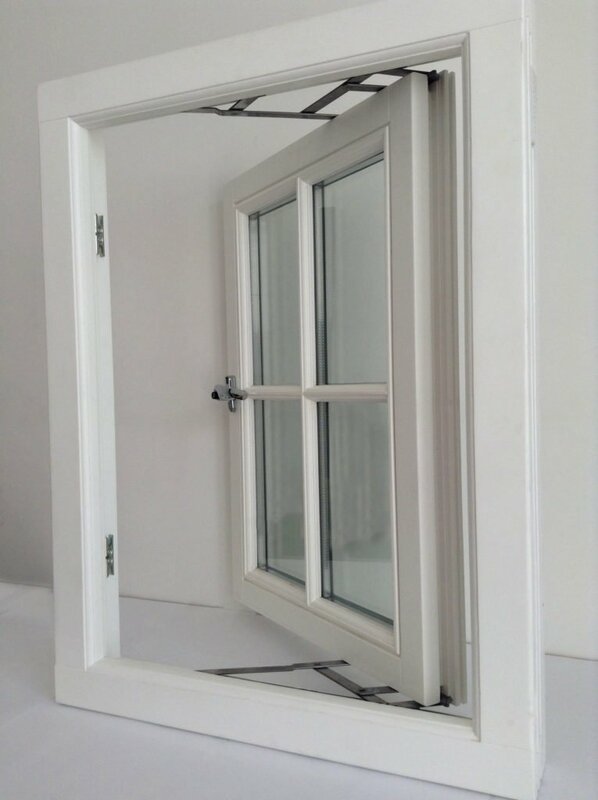 Roto NT Designo Hinges are used for especially large and heavy sashes that weigh up to 150 kg. 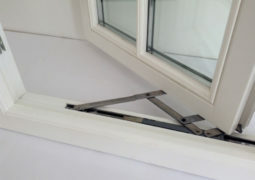 They are hinged on the side and allow the sash to open fully. 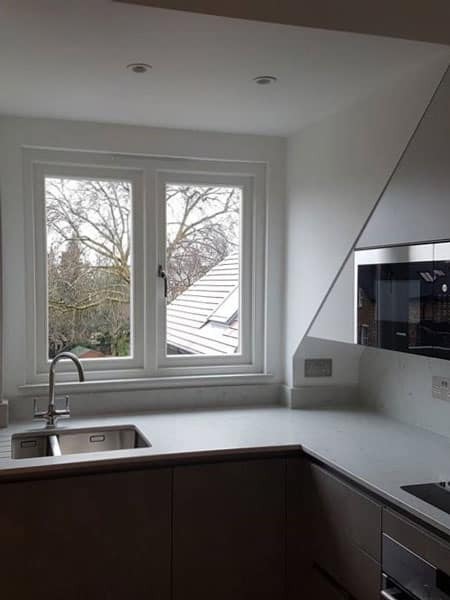 A decisive advantage is that no hinges are visible from the outside, no caps – nothing that detracts from the window appearance. 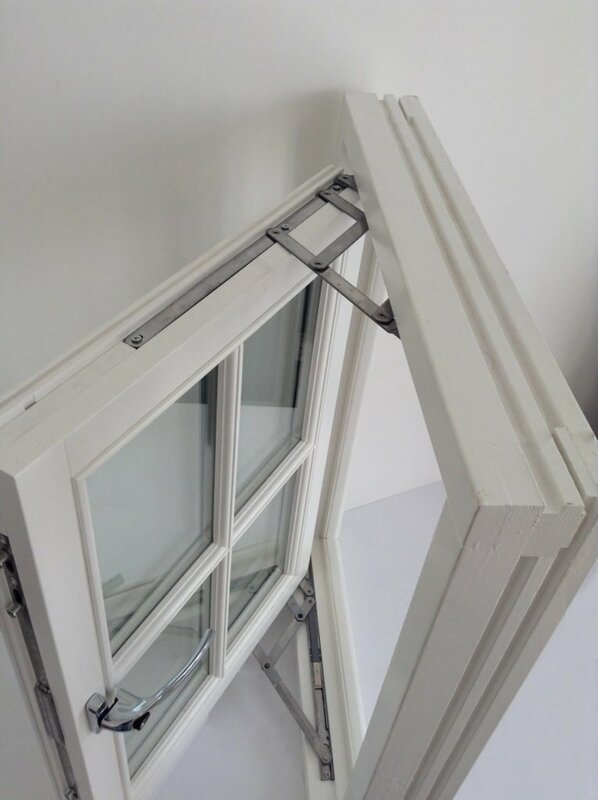 Parallel Opening Hinges allow windows to provide ultimate natural ventilation by allowing air flow around the entire opening. 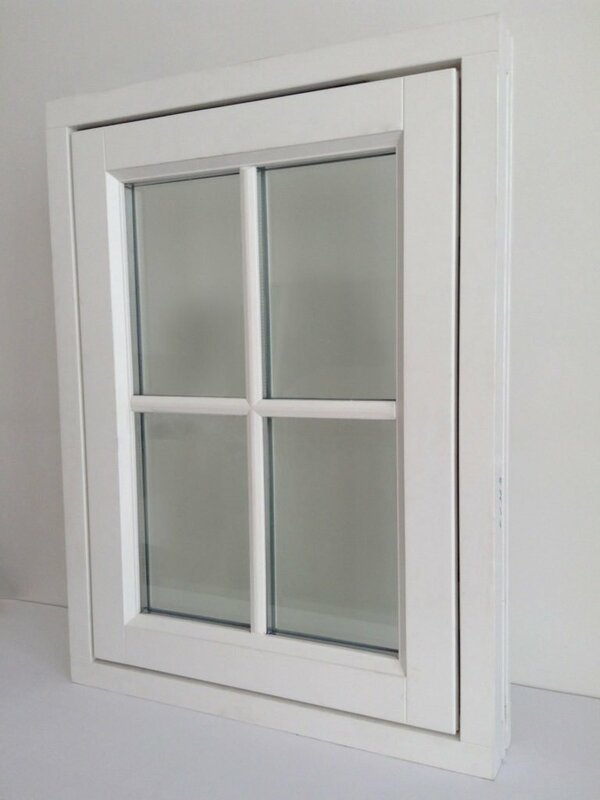 The finish of your wooden flush casement windows can harmonise with the design of the room. 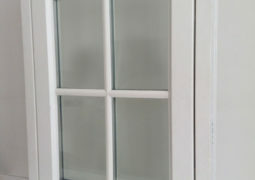 There are three coating options available – oil, paint, and clear- revealing the texture of the wood.